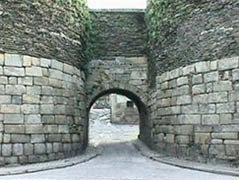 Lugo, the capital city of the province of Lugo, in Galicia, Spain, is the only city in the world that is surrounded by completely intact Roman walls used for protection against Germanic invaders in the 3rd century. The wall has 10 gates in total, 5 of which are Roman, dating from 263-276 AD, and are recognized as a UNESCO World Heritage Site. The two best preserved gates are Porta Falsa and Porta Miña. Of the original towers, 49 are still intact and another are 39 partially intact. The entire circuit of the wall, which measures nearly 2 kilometers, is accessible to visitors and has been traveled by pilgrims on the Camino de Santiago since the Middle Ages, who most often passed through Porta Miña on their way to Santiago de Compostela. Within the confines of the wall is the old city, featuring a cathedral dedicated to St. Mary, originally built in 1129, though the facade and towers date to 1769. There is much to see along the wall, from the modernity of Lugo's bustling city streets to the echoes of long past within the old city paths. Once you finish walking the perimeter of the wall, stroll around Plaza Mayor. Its large lawn area is close to the cathedral and hosts numerous cafes and restaurants overlooking the Plaza where you can get a coffee con leche, a tinto or a caña, as well as a tapa or two. You can people watch, admire the art, or just relax. Lugo is only about an hour's drive from La Coruña and provides the perfect day trip excursion. 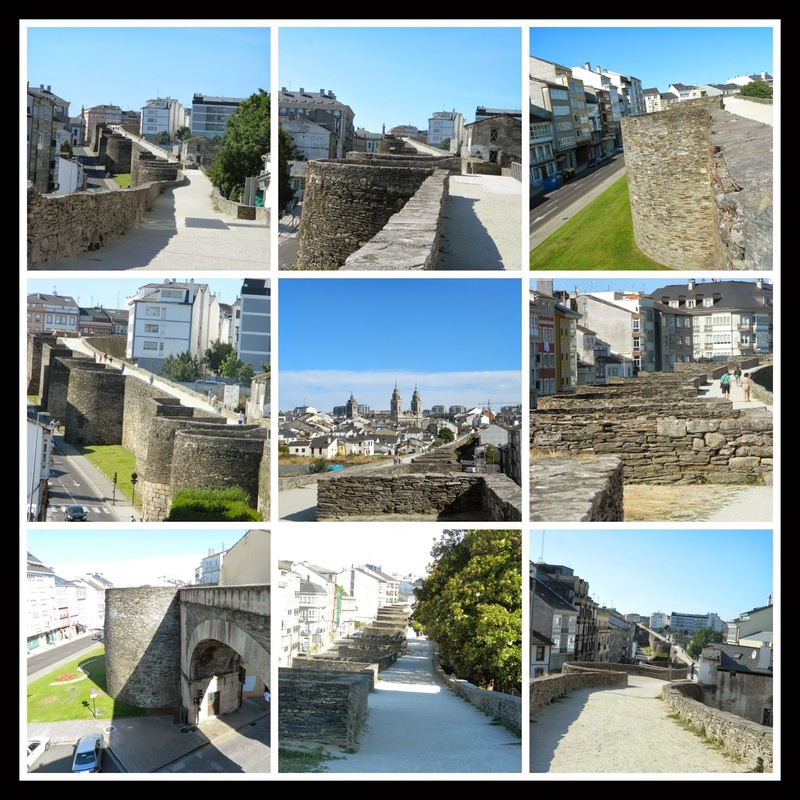 If you're ever in Galicia, on a UNESCO World Heritage Site tour, or in Spain looking for something to see, consider the city Lugo and the Roman Wall and wonder at the stories those stones could tell. Have you been to Lugo? What UNESCO Sites have you seen? Inspire me. 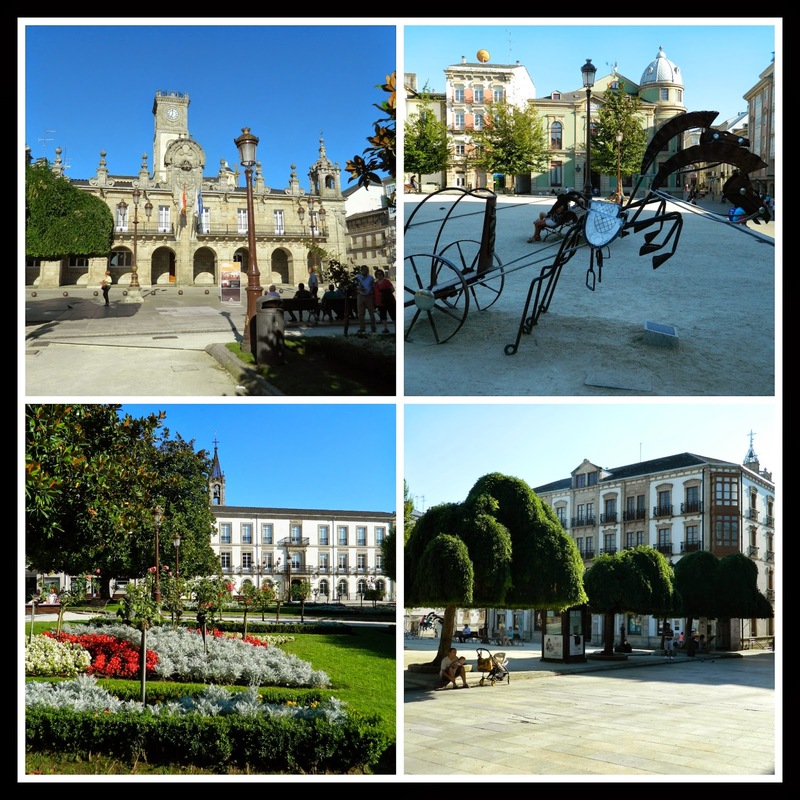 I haven´t visited Lugo so far, but I have seen quite a few UNESCO World Heritage sites. In Spain, the Alhambra, Cordoba´s Mezquita, the Alcazar & Cathedral in Seville, Gaudi´s Works in Barcelona.. further afield I have seen the Grand Canyon, Yellowstone National Park, the Berlin Museums, Amsterdam, Sintra in Portugal and Lisbon´s Torre de Belem. Thanks for sharing Lugo with us Kelly. How lucky you are to have seen so much. :-) I hope to see more with more time in Europe and hope to see the ones here in the States as well. And of course, in other parts of the world as well. What a gift we all have in the opportunity to see these treasures. Thank you so much for your visit, for your comments, and for sharing my pieces on Spain. I appreciate it so much! I hope you come back again soon. Cheers! 2 km? Wow, that's awesome! I've been in Conwy, Wales, where the town wall is still intact and accessible for visitors too but it's not nearly as long! Unesco World Heritage sites.....there are so many, aren't they? I'm sure I've been to one or two but probably without even knowing that they're part of it! It was a treat to walk the entire circuit and see the old city (and new) from so many vantage points. What a gift we all have in the opportunity to see these UNESCO treasures. There are so many to see. I hope to see more, both here in the States and abroad. Thank you so much for your visit and for your comments. I appreciate it so much! I hope you come back again soon. Cheers! Looks epic! I'm planning a trip around Spain this summer and Lugo should definitely go on my bucket list! Hello Elena! Spain is lovely. Where will you be visiting? I hope you get to visit Lugo, and other parts of Galicia in the northwest as well, like La Coruña, Santiago de Compostela, Muxia, the Rias Altas (especially Cathedrals Beach) and the Rias Baixas. So much to see and do. Enjoy your stay! Thank you so much for stopping by! Such beautiful structure in the Cathedral. I love the history in these towns! I love the photos! And while I have never said to anyone 'I really just want to travel to Spain' you are changing that! I'm so glad. :-) Spain is just beautiful. And so diverse. Mountains, ocean, city, farm, beach, island...it has it all. SO much to see and do and eat and drink. The people are kind and humble, and they know how to party. And rest. ;-) It's the total package. I hope you do get to visit someday. I adore the history...and the photos wow! Spain is so rich in history. You will love it there if you ever have the opportunity to visit. Thank you so much for stopping by. Wow I had no idea that this place in Spain (surrounded by Roman walls!) existed. Spain is just lovely! Spain is so rich in history. Walls, castles and cathedrals alone will keep you busy for weeks. You will love it there if you ever have the opportunity to visit. Thank you so much for stopping by. What beautiful pictures. I do a Almost Wordless Wednesday party every week if you would like to join. Beautiful! 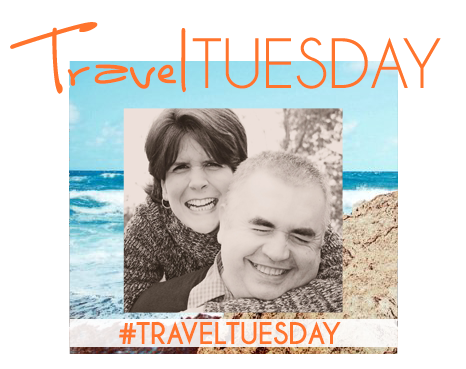 I've never been to Spain, but I've been to Portugal twice--once as a missionary, and once on vacation. Such a beautiful part of the world! Gorgeous pictures, Kelly!! I've never been to Spain but it is certainly on my list!! Thank you, Chelsea. I hope you have the opportunity to visit someday soon. So interesting. I have never been here, but it reminds me of the wall in Chester that you can walk around.